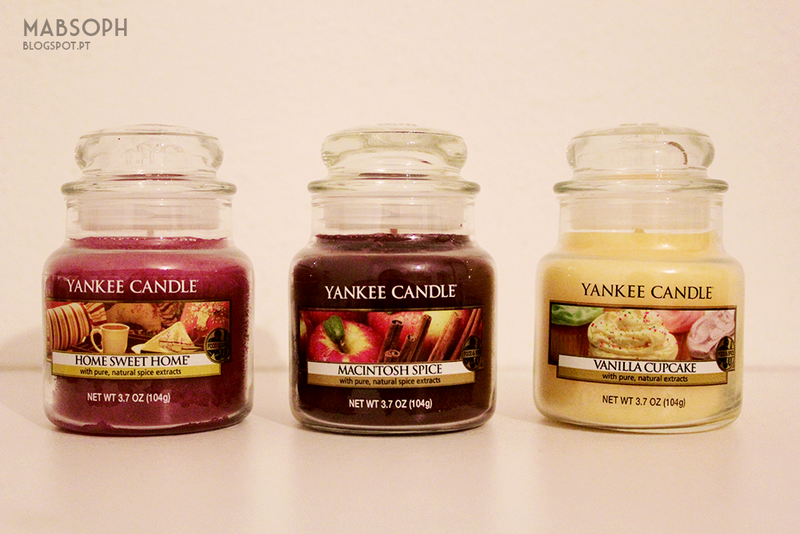 I always wanted to try the famous Yankee Candles, so recently I ordered three different ones from Ebay. I chose the smallest ones with the jar form because they are less expensive, and it's great just to see if I like the scents. 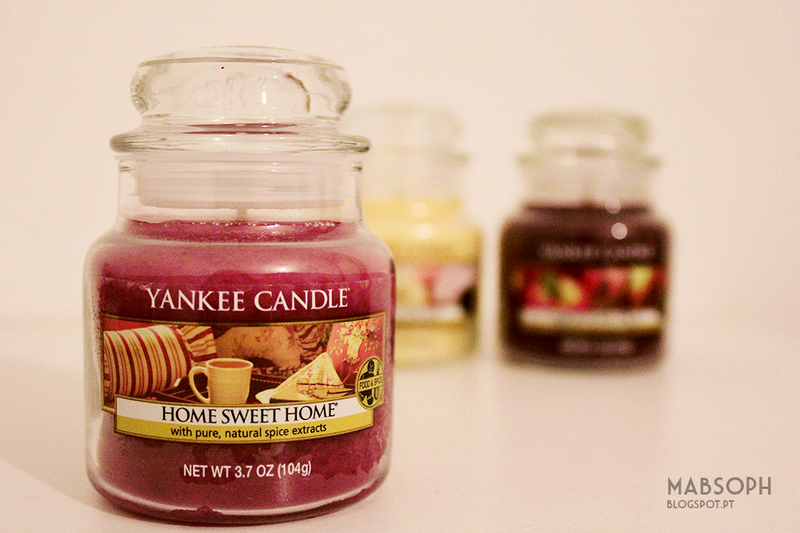 The first one is called "Home Sweet Home" and it smells like cinnamon with other things to the mixture. 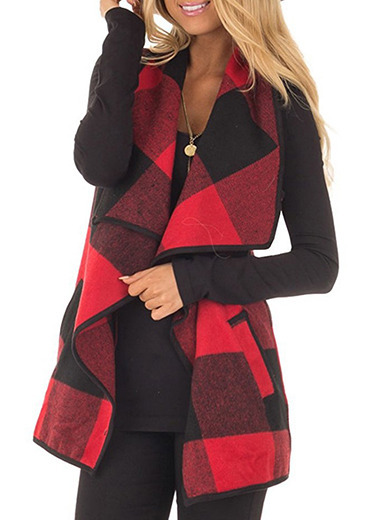 It's quite nice and very cozy. 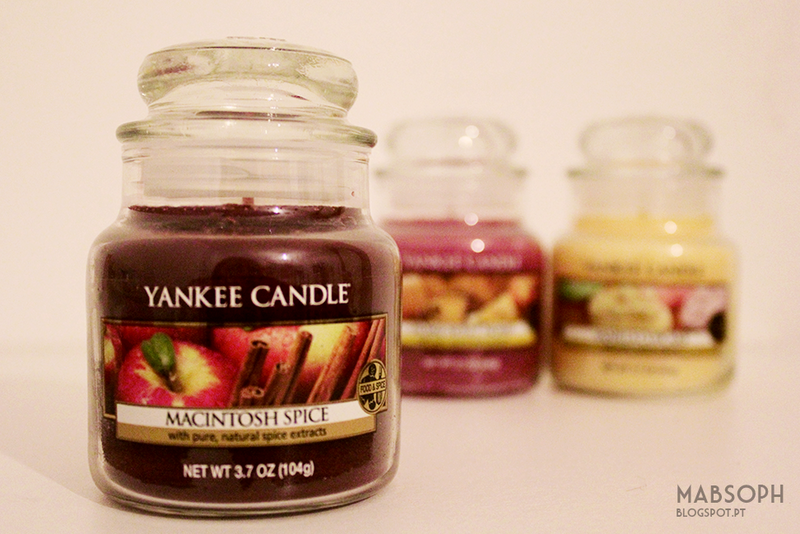 The "Macintosh Spice" one is very similar to the previous one, except the smell of apple is more noticeable. I think I prefer this one to the other, because I love the smell of apples and it's great blended with cinnamon. This one is my favorite, it's called "Vanilla Cupcake" and I just want to eat it! 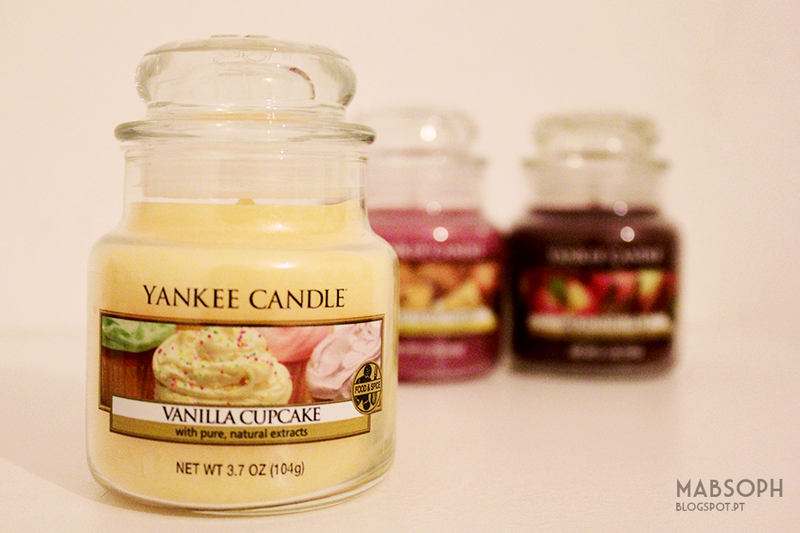 It's such a sweet smell of vanilla, hmm... it's perfect. Do you like Yankee Candles? If so, which scent is your favorite that I should try? Yankee candles are the best!! !